For many properties, their design and layout means that only a flat roof can offer the utmost protection. At B P Roofing, in Ramsgate, Thanet, we supply and fit the finest flat roofs at both domestic and commercial properties. When fitted poorly, flat roofs have a tendency to leak, and this is one of the most common repairs that we carry out. By choosing our roofing contractors, you can rest assured that your flat roof will be well-constructed, built using the correct methods and materials, and offer long-term security. 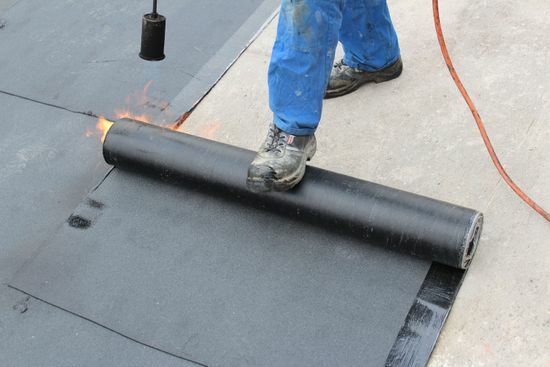 It is crucial that every flat roof is built to the right size using the most suitable materials. Backed by a wealth of experience in dealing with flat roofs, our team will determine the best size and materials for your flat roof. All materials are then locally sourced before being used to construct your roof. For your peace of mind, a full guarantee is provided with all of the workmanship that we carry out. Contact our roofing contractors now, in Ramsgate, Thanet, to discover more about our flat roofs.